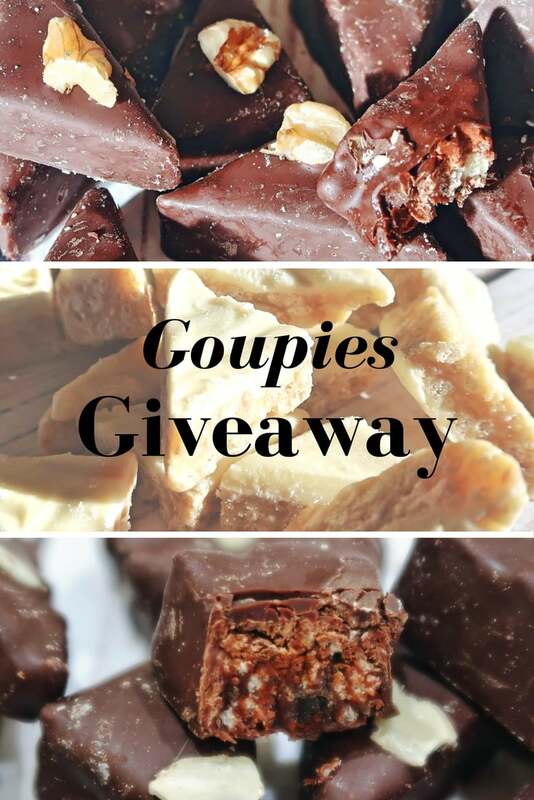 Goupies Giveaway – The new chocolate you have to try. To win FIVE boxes of the Goupies flavours of your choice, plus a bonus box of new Goupies Minis, see the Rafflecopter below. Now that Someone’s mum is getting bigger, I regularly get emails from companies, asking me to try their products, old and new. Unfortunately, I have limited time to work and so I cannot always accept every item that is offered. However, you have to make time for chocolate, right? When I was contacted by the makers of Goupies, I didn’t think too much about it. Free chocolate always has to be good and their lovely brand manager, Grace, assured me there was no obligation – they just wanted me to try them. Win win. I am so glad I said yes. Goupies are the most delicious new chocolate I have tasted in a very long time. We were sent three boxes, of three different flavours, which arrived late Friday afternoon. By Saturday, we had eaten EVERY LAST ONE. They were divine. Consequently, I contacted Grace again immediately and asked her if I could run a competition for them. They really are that good. I can’t sing their praises enough. Moreover, Goupies are, as they say on the box, devilishly moreish, in fact dangerously moreish. And they come in a range of mouth-watering flavours to suit all tastes. I think one of the things that make Goupies so delicious is that they are not too sweet. 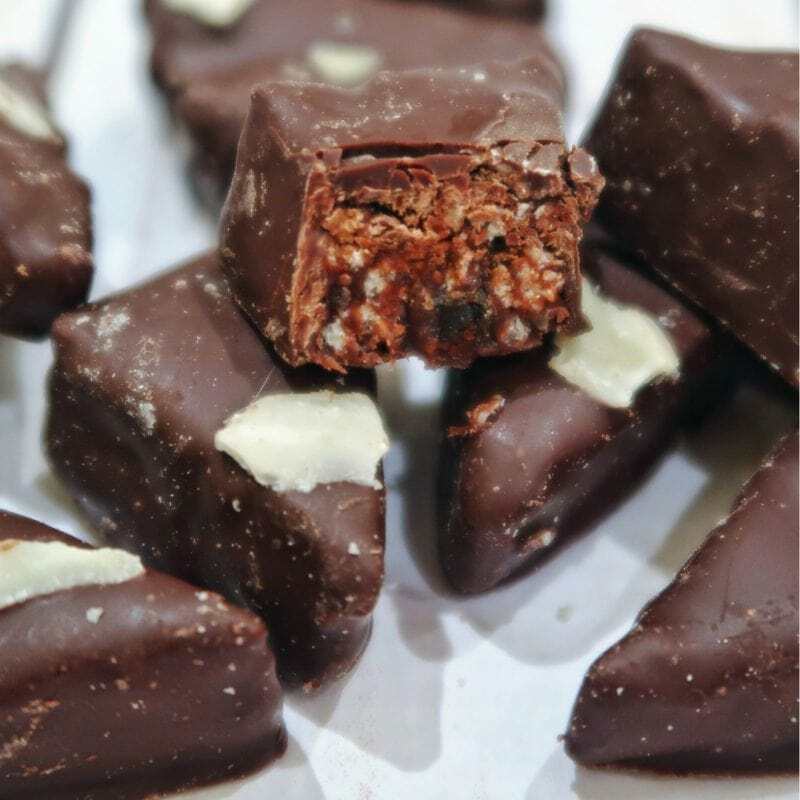 Unlike other chocolate treats, which can often be a bit cloying after you have had a few pieces, Goupies always leave you wanting more. The texture is just so pleasing too – chewy and cripsy and so full of flavour. We tried Date and Walnut, White Chocolate and Cardamom and Cherry and Almond. Also, many of the varieties are vegetarian, vegan or gluten free – so almost everyone can indulge. I will be a regular customer for Goupies from now on – I can’t wait to get my hands on their seasonal flavour, Boozy Christmas. 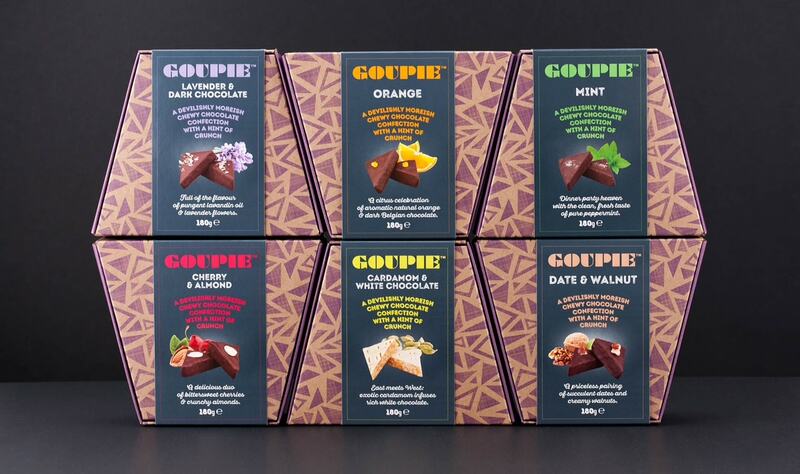 Finally, if you want to win FIVE boxes of Goupies, in the flavours of your choice (subject to availability), PLUS a box of new Goupies Minis, not yet available in shops, please enter the Rafflecopter below. Please note, you need to be a UK resident. Full terms and conditions in Rafflecopter. The Lemon Merrigue sounds delicious! Cherry and almond. I love both of these things anyway, so putting them together is the best. Lavender & dark chocolate. I’d love to try lavender, heard great things! These look so good, I want them all! I think the one I want to try the most is dark chocolate & lavender. I love lavender and I love dark chocolate so it’s a win! I love lemon so it has to be the Lemon Meringue. Salted Sticky Toffee would be my favourite as I love anything with toffee, but the Cherry and Almond sounds very interesting! orange as chocolate and orange is one of my favourite flavour combos! It’s got to be orange – I’m a big fan of orange chocolate! The Cherry and Almond ones sound amazing as I love the combination of chocolate and cherries. I think i’d like the orange chocolate best as it’s usually my favorite flavor chocolate treat! Salted sticky toffee definitely, although not sure my teeth would appreciate it! The dark chocolate and lavender looks delicious – bet it’ll go perfectly with a cup of earl grey! Salted sticky toffee! Sticky toffee pudding is my favourite so to have the flavour in chocolates with salt as well sounds lush! Lavender and dark chocolate because I can always pretend that dark chocolate is not sinful but actually good for me. Orange can’t beat that combo ! These are perfect for me at the moment as I an breastfeeding my little boy who has a dairy and soya allergy and I miss chocolate ! Chilli Looks delicious as it is such a good combo. White chocolate and cardamom. Absolutely love cardamom. 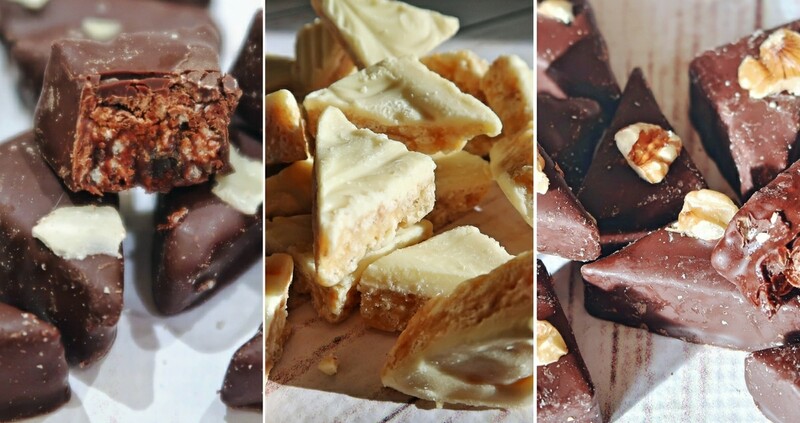 They all sound so yummy, I wouldn’t mind trying all of them, I can never resist chocolate, if I had to pick just one I would pick salted sticky toffee, that sounds divine. Cherry and almond., i love almonds! Salted Sticky Toffee sounds amazing! Salted sticky toffee – I love the combination of salty and sweet! Deffo salted sticky toffee x yummy! Cherry and Almond as I absolutely love the flavour combination! I want to try the Cherry and Almond. 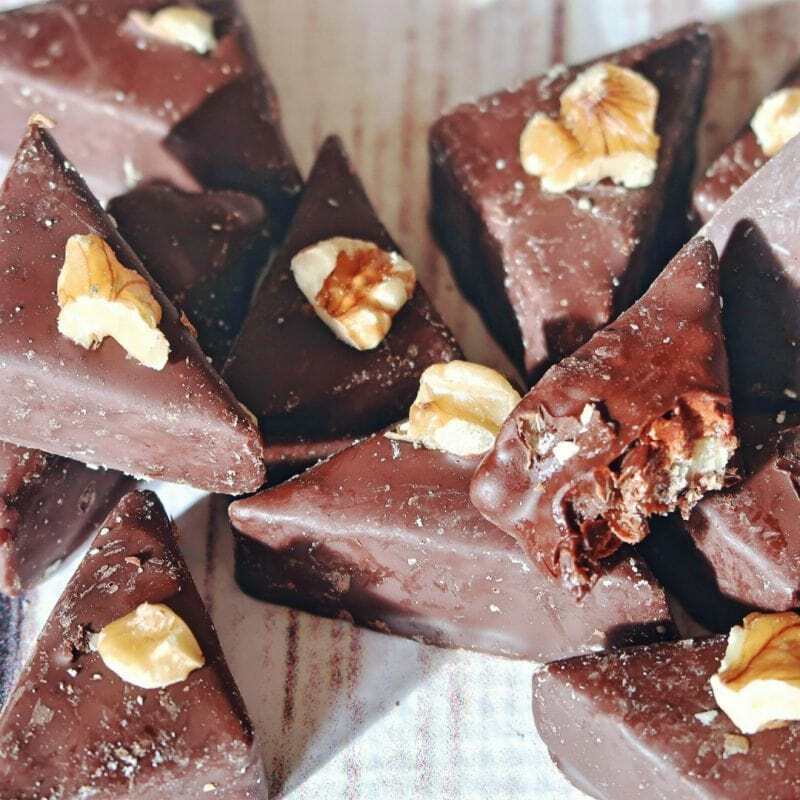 I love almonds and cherry with chocolate sounds amazing! The Lemon Merrigue sounds delicious, the tanginess of lemon will go well with chocolate. Mint, I love everything minty. Cherry and Almond, sounds very appealing, as I would imagine the combination of the Cherry/Almond would fit very well together. Ginger, nice flavour. Not so readily available as some other flavours. Etc. Either the hazelnut or mint – it looks and sounds delicious!!! Lemon Meringue. I love citrus flavours. The Salted Sticky Toffee would be my favourite. Date & Walnut sounds delicious. My favourite cake too! I really love nuts, so I would choose the hazelnut or the cherry and almond. 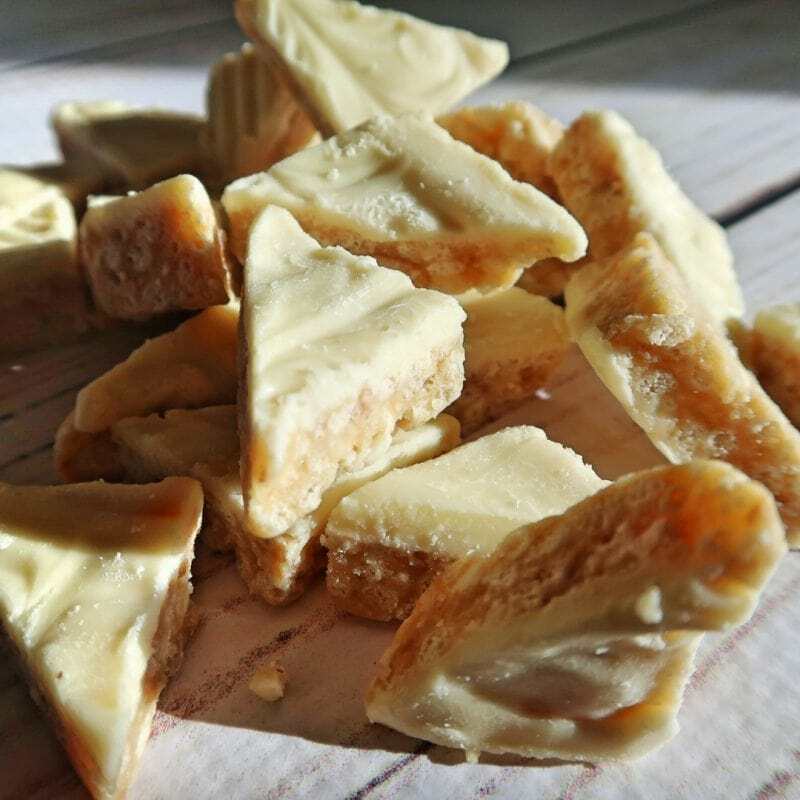 white chocolate and cardamom sounds amazing! Never heard of this brand before but sounds very good. Lavender and dark chocolate sounds amazing! I adore lavender in anything but matched with dark chocolate sounds like heaven. These look delicious! I would say date and walnut because I always love that combination. Salted Sticky toffee because I have a major sweet tooth! I like the sound of date and walnut – unusual but tasty! Salted sticky toffee sounds amazing! I’m a big fan of salted caramel so this would be right up my street! Salted Sticky Toffee sounds amazing. Would love to try it. Love toffee. Cherry and Almond sounds wonderful! Cherries are my favourite fruit and I love almonds too. Salty sticky toffee yes please ! Lavender & dark chocolate sounds really tasty and different. I love nuts in chocolate so the cherry and almond does it for me. I think the mint would be my favourite I love anything mint! Salted Sticky Toffee sounds devine. Thank you for running such a generous competition. I thoroughly enjoy reading your blogs. Keep up the great work! Mint because mint chocolate is delicious and refreshing. Cherry and almond looks fab! The orange sounds beautiful! I love orange & chocolate, it’s the perfect combination! I need the salted sticky toffee flavour in my life (well, in my mouth.) Best dessert flavour ever! Cherry and Almond sounds divine this fruit and nut is always fine. Salted sticky toffee. Sometimes I just need the extra kick of salt on my sweet. Expresso has my mouth watering!! Love the sound of these, the Salted Sticky Toffee sounds the most delicious though! Oh got to be the sticky toffee as i just love toffee. The Espresso because I love coffee chocolate and a decent one is hard to find.